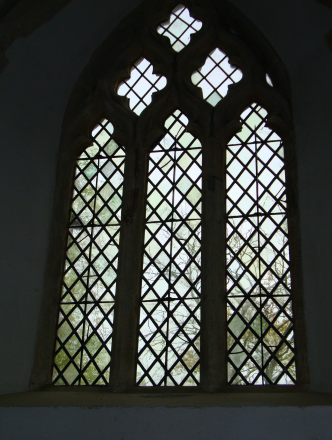 The Windows in St. James’ Somerton, like the church and the village have a history which can be traced back over several hundred years. 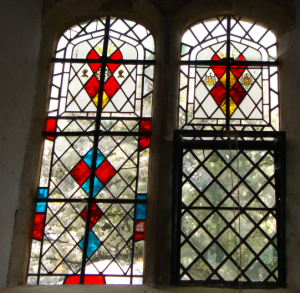 The most famous stained glass window, the Whall window, is the subject of a separate presentation. But others are of considerable interest. 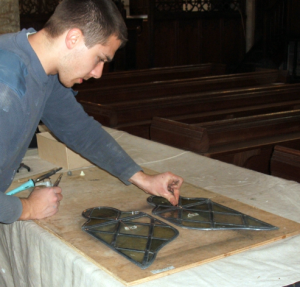 Repair and restoration of some of the windows in the church was carried out in 2010. Jonathan Cooke head of the firm provided the following information. Some of the panels of glass had to be removed to allow the rods, which support them, to be replaced. When they were first erected a niche had been cut into the stone on either side of the panel, one side deeper than the other. The panel was then inserted and by sliding it into the deeper cut it could then be slid back to fit into the shallower slot and a peg inserted to keep the whole thing in place. The panels rest on iron bars and it is some of these that had worn and were being replaced. 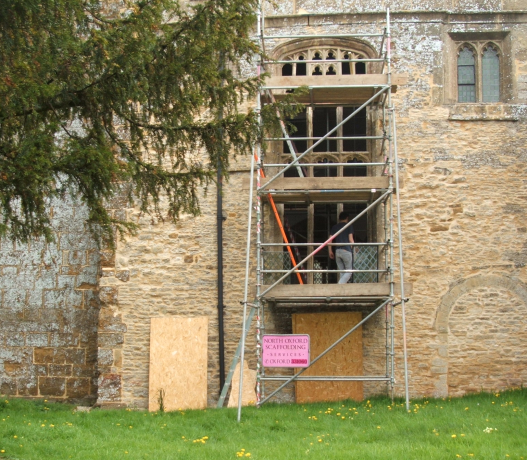 Another more recent method was by overlapping the panels, as in the South window. 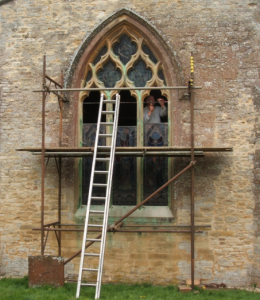 This window was re-leaded in the 18-19th century and the work was probably carried out by a plumber! 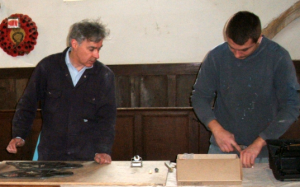 Plumbers were used to working with lead and glaziers were scarce at that time so it seemed the obvious solution. We were told that most of the ironwork in the windows is mediaeval and were shown some panels that had an assortment of glass panes. 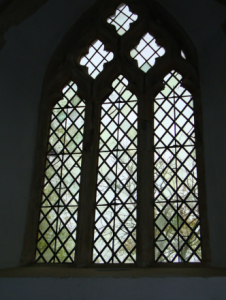 The earliest rough looking opaque panes were from the 15-16th, century fitted alongside 17th century panes and some later glass. 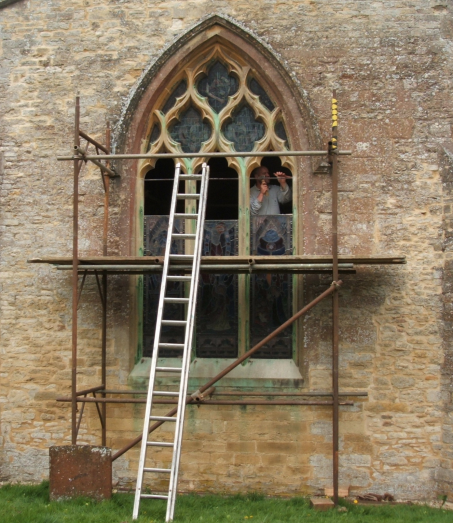 As panes were broken they were replaced with the glass in use at that time. These are mainly in the north aisle. 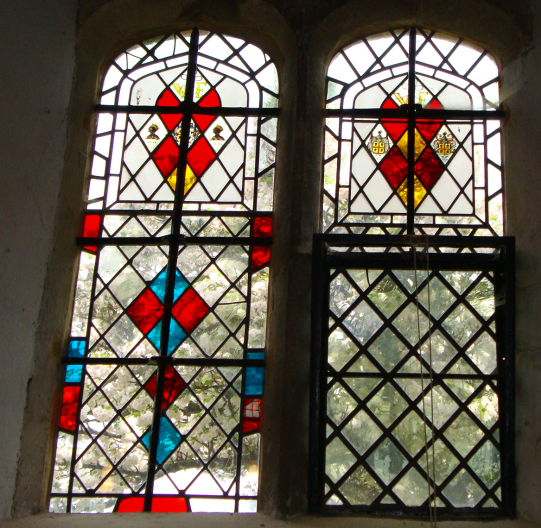 The stained glass shields in the north window are dated 1679 and bear the initials WF. They have two exquisitely painted blackamoor heads which in heraldry indicated deeds of prowess in the Crusades. 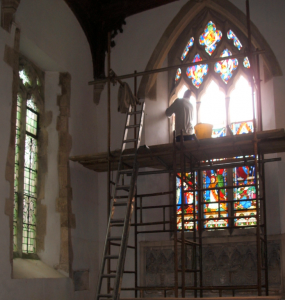 Mr Cooke thought that the stained glass 19th century East window was possibly by John Hardman, a pupil/collaborator of Augustus Pugin renowned for his church glass. 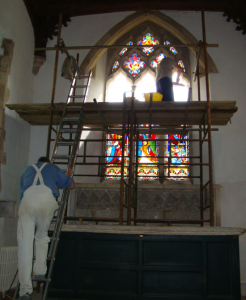 The clerestory windows and those in the chancel date from the same period and were designed by Henry Wilson, a prominent figure of the Arts & Craft movement. 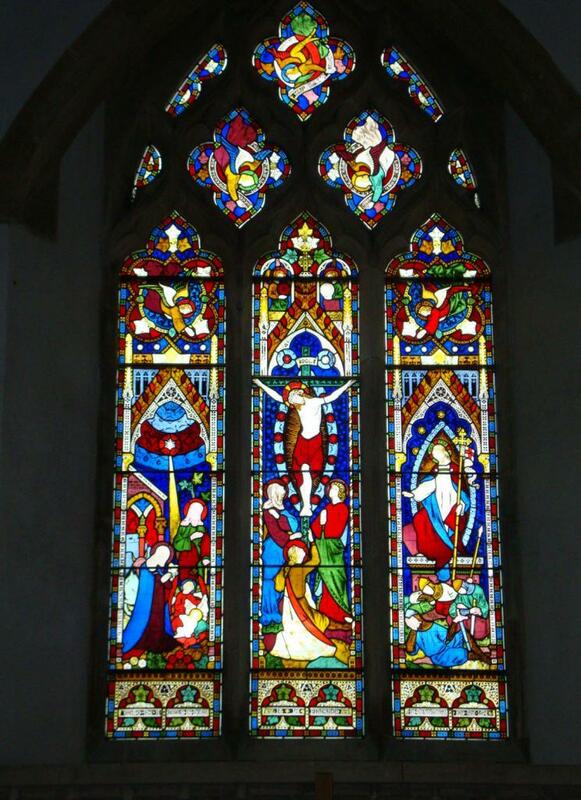 He carried out much of the late Victorian restoration in the church, was a friend of Christopher Whall and recommended him to design the Barnes memorial window.